We represent divorcing clients in Cook, Lake, DuPage, Will and McHenry Counties in Illinois. Divorce, also referred to as “dissolution of marriage”, occurs when a marriage is legally terminated. Illinois law governs all matters concerning divorce, legal separation, child custody, child support, spousal support, and property division. If you are considering a divorce or have been served with divorce papers, it is important to retain the services of an experienced Chicago divorce attorney to protect your rights and provide you with the necessary legal counsel during the divorce proceedings. 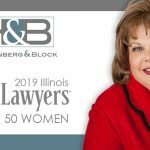 Hoffenberg and Block provides comprehensive legal representation to divorcing clients in Chicago, including, Cook, Lake, DuPage, Will and McHenryCounties in Illinois. When spouses decide to move forward with a divorce, often times immense conflict and emotional trauma can ensue, especially when children are involved. For this reason, it is prudent that any person considering divorce speak with a skilled Chicago divorce lawyer. A dedicated family law attorney can inform the person of their legal options, provide helpful guidance, and protect the person’s rights. When you are going through a divorce, there are many difficult decisions to be made. You must decide where to live and how your assets will be distributed. If you have children, you will have to work out the issues of child custody and child support. A decision that is perhaps equally important to the outcome of your divorce and its impact on your future is your choice of divorce attorney. 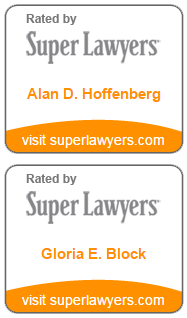 The legal professionals at Hoffenberg and Block, LLC have been practicing divorce and family law for over 45 years. 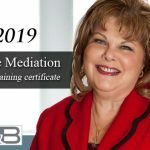 A top Chicago divorce lawyer from our firm can aggressively represent you and work to negotiate on your behalf so that you can confidently move forward through this changing time in your life. Parents have a right to seek visitation with their children if they do not have physical custody. The only exception may be if a court has determined that the parent poses a threat to the child’s safety and wellbeing. Seeking visitation can be a complicated process, particularly if there are other issues that need to be addressed, such as establishing paternity or enforcing/modifying an existing visitation order. Talk to your attorney to review your parenting plan to ensure that your rights to visitation are not taken advantage of. At Hoffenberg and Block, our team of legal professionals is experienced in all aspects of Illinois divorce law. Whether your divorce is contested or uncontested, involves a prenuptial or postnuptial agreement, needs child custody or support terms to be negotiated or any number of other circumstances, a family law attorney from our firm may be able to help. Issues that arise from divorce can be confusing and complicated. High net-worth divorce cases can provoke a great deal of conflict when it comes to the distribution of complex assets, especially if hidden assets are uncovered or there is disagreement about how they should be equitably distributed. 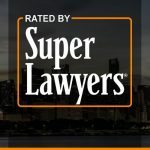 Fortunately, our Chicago divorce lawyers serving clients throughout Cook, Lake, DuPage Will and McHenry counties in Illinois are available to help. 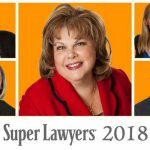 The depth of experience and dedication among our professional staff has earned us a reputation as consummate litigators, with consistent favorable outcomes for our clients. We are committed to you and your family. Contact us today to schedule a no-obligation case evaluation to discuss your divorce representation. We represent divorcing clients in Cook, Lake, DuPage, Will and McHenry counties and throughout the Chicagoland area. To discuss your divorce with an experienced Chicago Divorce Lawyer, contact Hoffenberg & Block today at 312-853-8000 or Click Here to schedule a confidential case evaluation.